Due to the many recent earthquakes that destroyed homes, more people are looking for alternative building materials other than concrete & steel to build earthquake proof housing. SIPs provide the safety people desire and building with SIP panels is so much faster too. Watch our short presentation below that describes the DurathermSIPs building system and you will soon see why building with SIP panels is the best choice. The Duratherm SIP panels are unique to most other SIPs as ours use cement sheeting on either side of the polystyrene core. This makes Duratherm SIPs more cost effective and faster to build with than building with other SIP panels. The one con that some people have with SIP panels is not an issue with Duratherm SIP building system. Most SIPs use a polystyrene core and have OSB as the outer facing and it is said that the OSB will creep overtime. 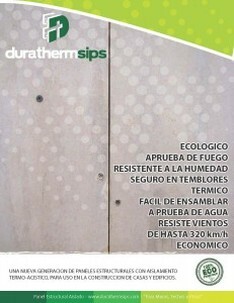 Duratherm SIP panels use cement sheet and not OSB hence eliminating any cons to building with SIP panels. If you have ever built a SIP house then you already know how to build an earthquake proof house. The strength that a SIP provides as a building material is unmatched for price by other building materials. 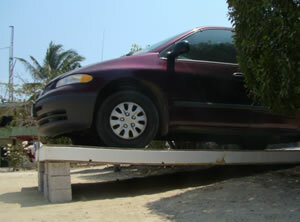 Because a SIP house is glued and screwed, it will hold up well against the strongest of earthquakes.